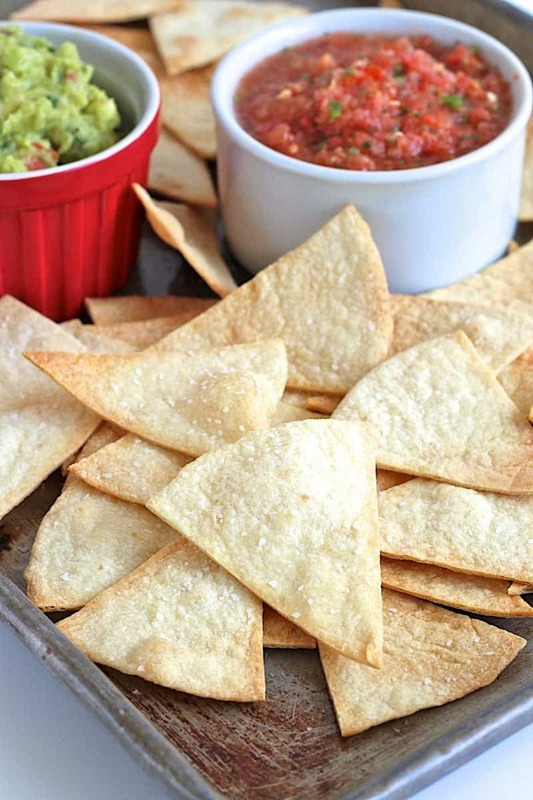 Easy baked tortilla chips that are healthier and great for dipping or making nachos. Y’all, I just have to share how we make our own chips most of the time. 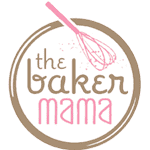 It’s so easy, it’s almost comical I’m sharing the recipe, but I get asked all the time how I make them, so I think it’s due time I share here on the blog. Seriously, so so easy and they turn out perfect every time. 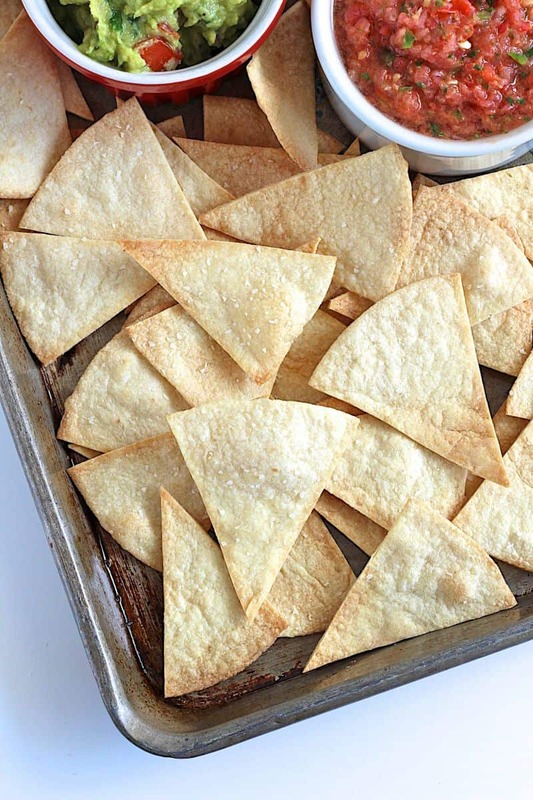 Super crunchy, a little salty and so much healthier than fried tortilla chips. 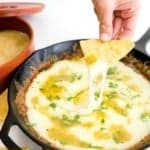 They are perfect for dipping in any kind of dip and make for the best nachos. We very rarely buy chips anymore because we love these so much! 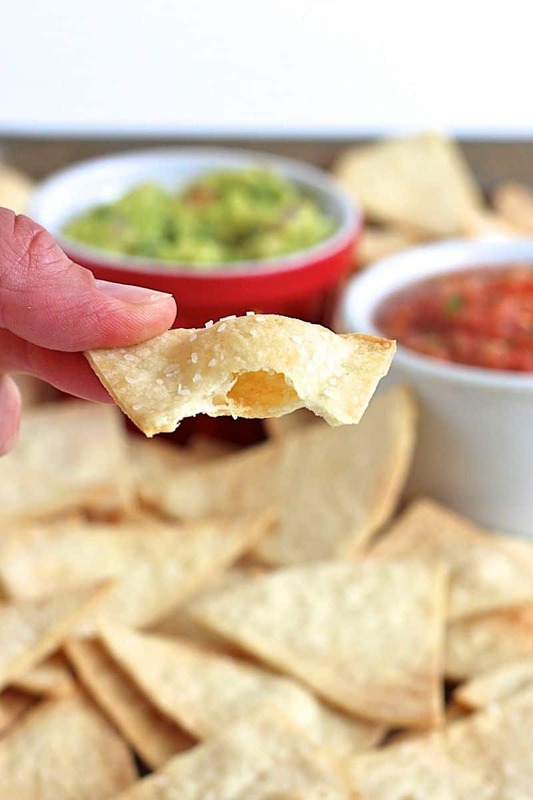 All you need are some tortillas, cooking spray and a little sea salt or kosher salt. And a baking sheet and oven, of course. We get fresh made tortillas from a local market and have made these homemade chips with flour, corn, multigrain and whole wheat tortillas. They turn out great every time! 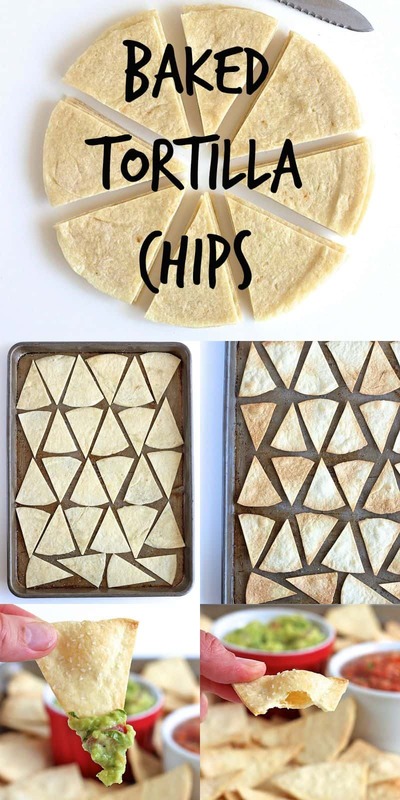 You’ll start by cutting each tortilla into 8 equal wedges. 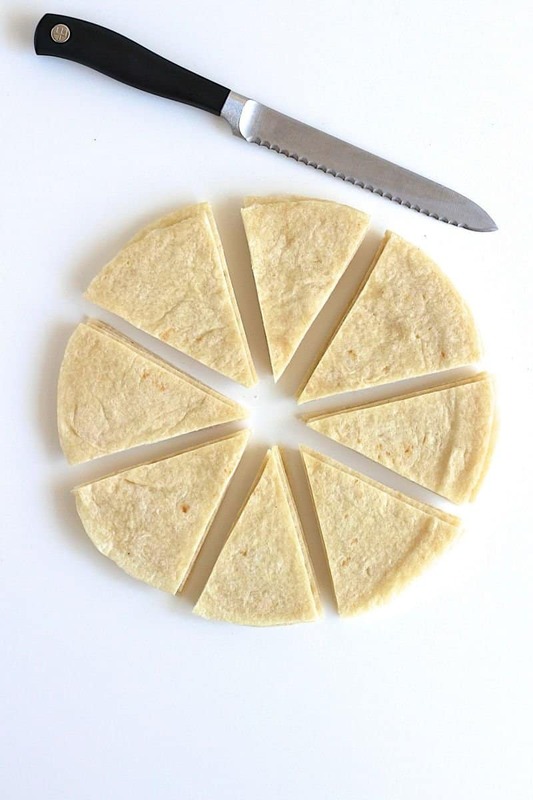 I usually cut 3-4 tortillas at a time with a sharp knife or a pizza cutter. 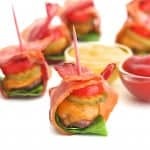 Then you’ll just spread them out evenly on a lightly greased baking sheet and spray them with cooking spray before sprinkling with a little sea or kosher salt. Bake at 400°F for about 10-12 minutes, rotating the pan halfway through. The chips should be crisp and starting to turn light brown when done. Let them rest on the pan for about 5 minutes before serving. That’s all there is to it! They keep great for several days stored in a resealable baggie. 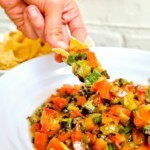 We love serving them with all kinds of dips and especially love using them to make sheet pan nachos. 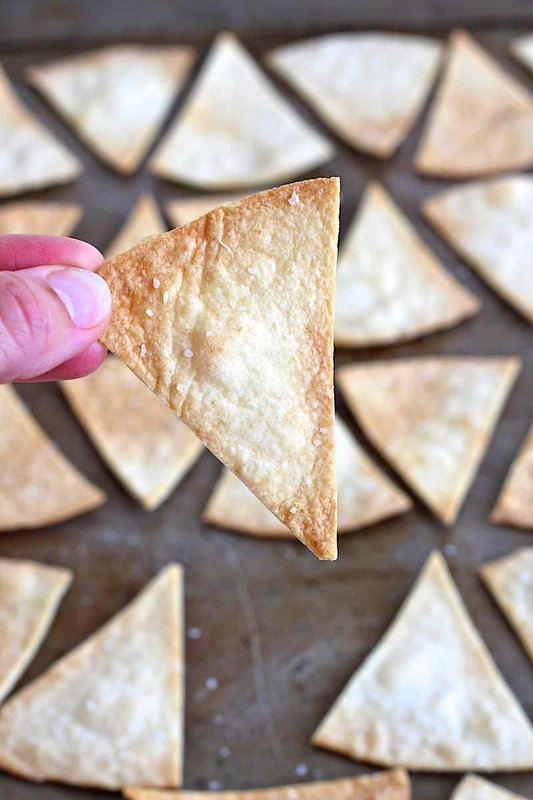 Cut each tortilla into 8 equal wedges with a sharp knife or pizza cutter. 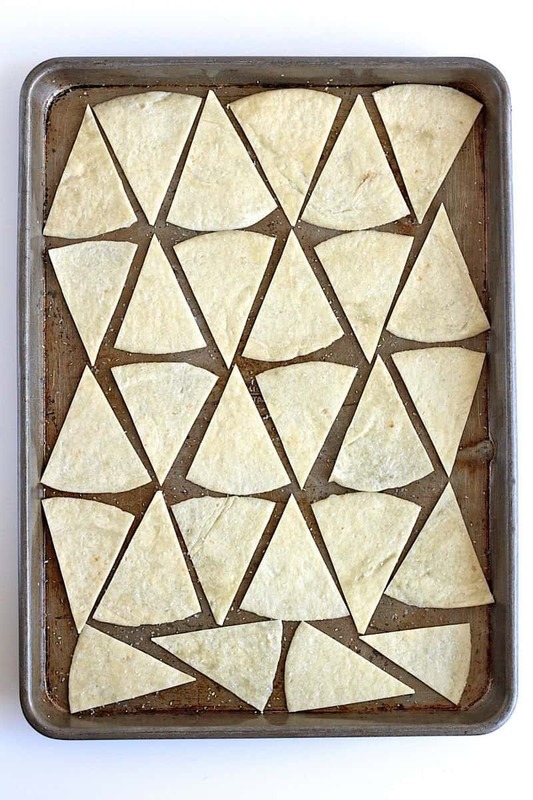 Arrange tortilla wedges in a single layer on the prepared baking sheet. 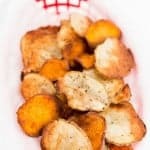 Spray the wedges with cooking spray and sprinkle each one with a little sea salt or kosher salt. 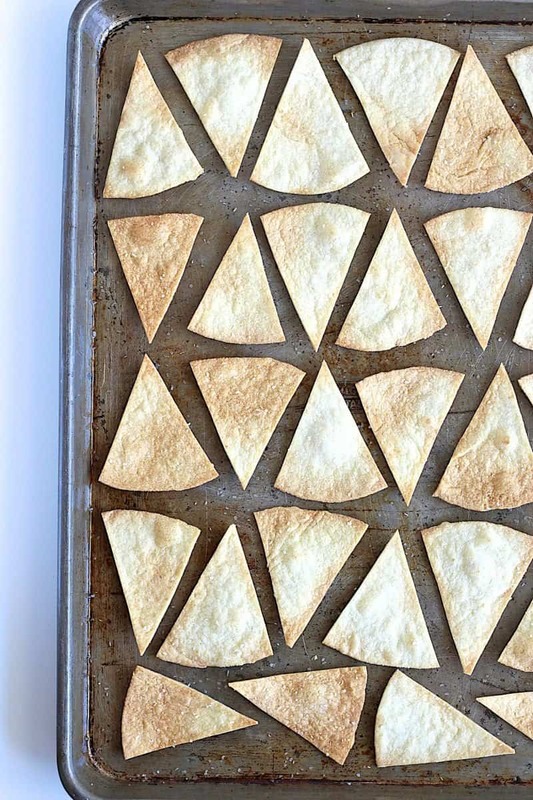 Bake chips on the top rack of the oven for 10-12 minutes, rotating the baking sheet halfway through, until chips are crispy and starting to turn light brown in spots. 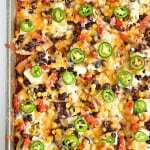 Remove from oven and let chips rest on baking sheet for about 5 minutes before serving. 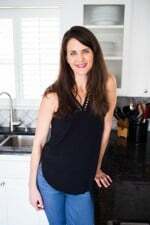 Repeat with remaining wedges or bake them on multiple baking sheets at the same time, rotating which shelf the baking sheets are on halfway through baking time as well. 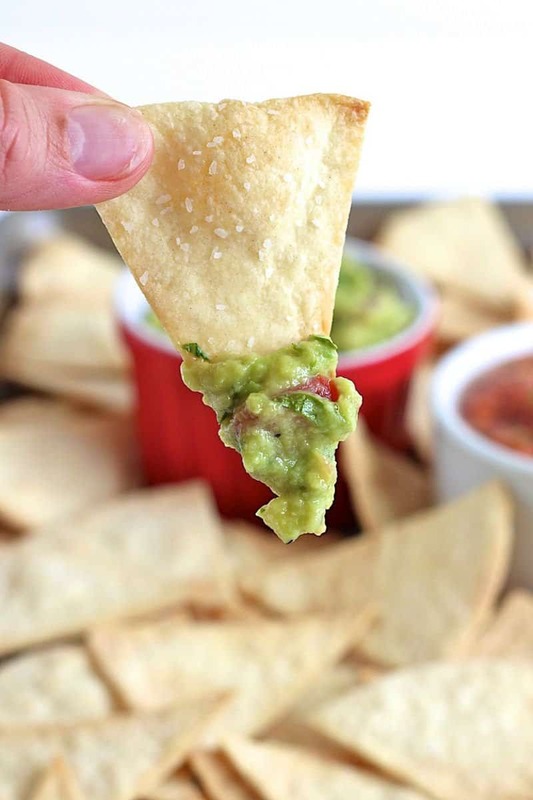 Store leftover chips in a resealable baggie for 4-5 days. Not sure what happened here but I burnt the heck out of two batches of chips at only 5minutes into the baking time. With the second batch, I moved the rack from top to the middle of the oven and they still burnt ( black) at 4 minutes into the baking time. Very disappointed. Hi Tammy! So sorry to hear this. Are you sure your oven was set to 400? Sounds like your broiler might have been on if they were black after just 4 minutes. What kind of tortillas are you using? Maybe try reducing your oven temperature next time and checking on them every few minutes. Hope this helps. Looks like something yummy to try. When I try this recipe! Hi Shae! 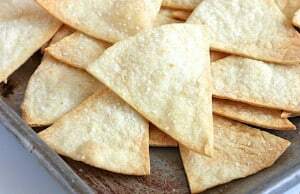 They’re flour tortillas. Enjoy! 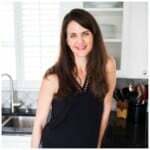 Can you use low carb flour tortillas? Hi Dian! Yes, they turn out great too. Enjoy! Thanks for this! I was trying to find out if I could make them with flour tortillas and you answered my question!